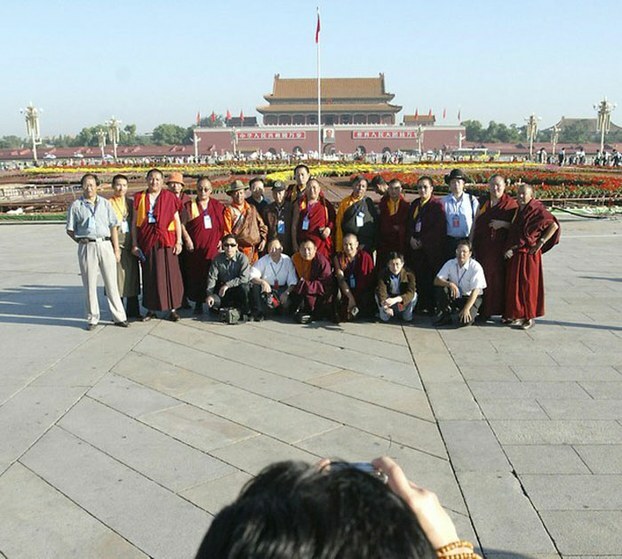 (TibetanReview.net, May24, 2015) – China has banned all ethnic Tibetans, regardless of where they live, from traveling overseas on package tours from May 20 to Jul 15, reported the Mandarin Service of Radio Free Asia (RFA, Washington) May 22. This became obvious from online reports which said the Chengdu municipal tourism office had issued a directive ordering travel agents not to accept Chinese citizens from Tibetan areas – any ethnic Tibetans regardless of origin – onto package tours leaving China during this period, the report added. “For the time being, we aren’t accepting Tibetans,” an employee at the Guangda International Travel Agency in Sichuan’s capital Chengdu was quoted as saying May 22 when contacted by an RFA journalist posing as a potential customer traveling with a passport-holding Tibetan friend. An employee who answered the phone at the Huanqiu International Travel Agency in Chengdu was also reported to have answered similarly. The report said employees at a number of travel agencies in Beijing, and in Urumqi, regional capital of the troubled northwestern region of Xinjiang, also spoke of having received similar orders regarding Tibetans, adding ethnic Uyghurs were still being allowed to leave the country as tourists if they held a valid passport. China greatly tightened restrictions on issuance of passports to Tibetans after the 2008 uprising protests. In 2012, all Tibetan passports were confiscated. This happened after a large number of Tibetans from Tibet attended a major religious teaching given by Tibet’s exiled spiritual leader, the Dalai Lama, in India. Those who had attended the teaching were made to attend months of political education while those caught at the border after having travelled illegally were prevented from returning home.